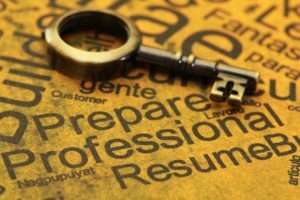 Proofing a resume or cover letter both for the writer or the numerous friends and family who often review, can be a daunting task. You want that document to be perfect. You’ve heard that one mistake could cost you a job. First, let’s do away with that myth. Thinking that someone is taking your one, two or three-page resume and cover letter, reading it, and then dismissing you from consideration for one error somewhere in the middle the document typically doesn’t happen. Nearly every resume I review for client companies or at career fairs has a couple of errors in it, and this is after a person has typically done multiple reviews and had others review it multiple times. Most hiring managers and HR personnel reading the document are first doing an initial scan if it gets through the Applicant Tracking System (ATS). Then, only if you make it into the “qualified” pile they will actually read it. To be truthful, that reading, while more detailed, is not for spotting every error in the document unless those errors are jumping out at them! 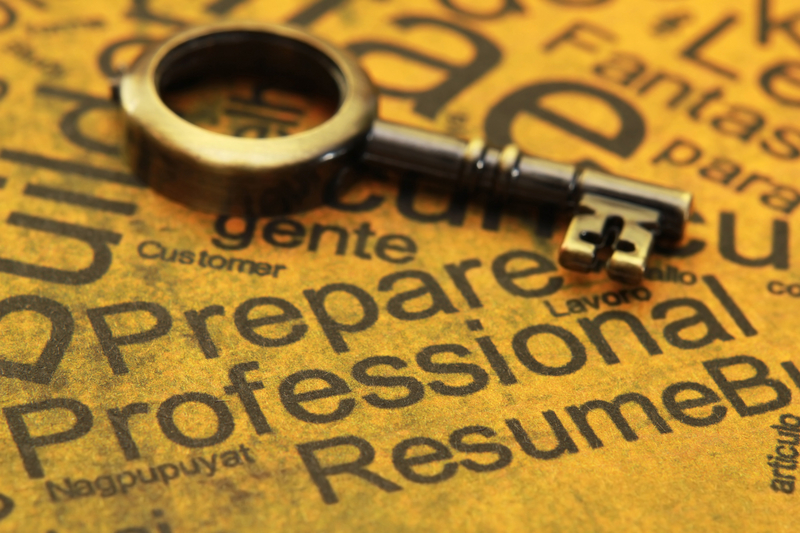 Most people reading your resume understand there may be a minor error or two. I assure you their resume probably has typos in it too. Add to that some of the strange things an ATS can do to the document, like inserting weird characters where they don’t belong, or changing all you letter “d’s” to “g’s,” which does happen, and now your potentially perfect document is inaccurate, or at least peculiar looking! That is not your fault and something readers on the other side of the ATS need to understand. What they don’t want to see are glaring errors, like your name or the company name misspelled, bad grammar, missing or incorrect punctuation, erroneous or misspelled industry terminology and acronyms, and overused action words. So, how do proof your own writing? First, walk away from that document. It doesn’t matter if it is a resume, cover letter, reference list, reference letter, or any other career related information, you need to step away before reviewing it. Don’t write a resume that can impact your ability to get a job and then feel the need to send it out the same night. You will regret it most every time. Come back the next day and read it again with fresh eyes. Then walk away again for a few hours, come back and reread. Now walk away again, come back and read that document to yourself out loud. This allows you to catch syntax errors – those sentences and phrases that just don’t “sound” right. Sometimes what sounds great when reading it “in your head” doesn’t quite work when you read it out loud. Lastly, read it backwards. Yep, I said backwards. Certainly this seems laborious, but it actually allows you to catch additional errors like missing punctuation, misspelled industry or technical terminology, company names, and occasional repeated words like “the the,” more easily. When you read it back to front, the “reading what you think you wrote” issue goes out the window. How it sounds isn’t important at this point. Reading in reverse is all about spelling and punctuation. As a final thought, know that regardless of how many times or how carefully you read your resume or cover letter for errors, we are still human, and so are your family and friends. You still just might have missed something. My feeling is that if a person reading your resume doesn’t understand that every once in a while we make errors – then that person or organization may have larger issues. Primarily having a mindset that says you can’t ever make an error. Typically these organizations will also give you the work of three people, demand you get it done with no overtime or constant forced overtime, or put you on salary so you can work 90 hours a week. If you misspelled your name, company name, or something painfully obvious on the resume, like writing HIPAA with two “p’s ,” then take your medicine (sorry, couldn’t resist the healthcare pun). However, if in the middle of the document you used “united” and accidentally spelled “untied” or Microsoft Word just didn’t catch a misspelling, and that is their major determining factor in an interview or hiring decision, consider yourself lucky. They may have saved you another job search.